The white grape is a new breed between Riesling x Pinot Blanc, Synonyms are IM 6.0.13, Incrocio Manzoni 6.0.13, Manzoni 6.0.13 and Manzoni Bijeli. The crossing was done by the breeder Luigi Manzoni (1888-1968) Early in the 1930s at the Weinbauinstitut Conegliano in Veneto ( Italy ). She was by far the most successful creation. 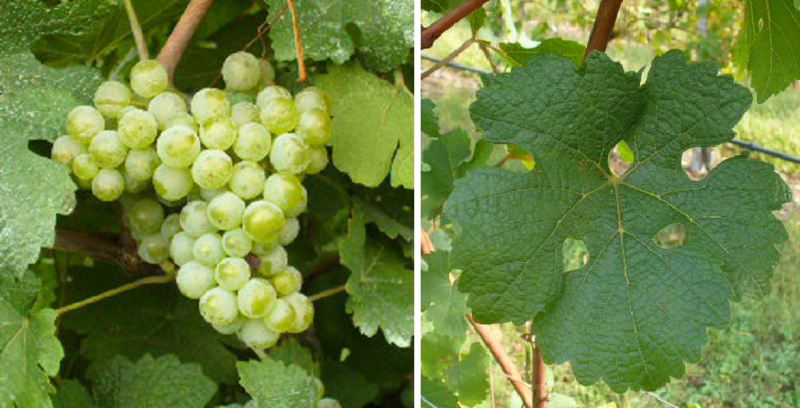 The early to middle-seasoning vine is resistant to the real mildew and Esca, It produces aromatic white wines with aromas of jasmine, lemon and honey. The variety is mainly in Veneto grown where they are in the DOC / DOCG wines Bianco di Custoza. Colli di Conegliano. Colli Euganei and Vicenza is allowed. There are more stocks in Apulia. Friuli-Venezia Giulia. Calabria. Molise and Trentino-Alto Adige, In 2000, the acreage in Italy was 8,290 hectares. However, the stock decreased to 382 hectares by 2010 - the reason for this extreme reduction is unknown (Kym Anderson ). Small areas are also in the Spanish area Penedès give. This page was last modified at 27 March 2019 at 18:35.